TIBET HERITAGE FUND (THF) is an international non-profit organization working in the field of international cooperation for sustainable development of communities and traditional settlements, particularly within the Tibetan cultural realm but also elsewhere in Asia and Europe. THF works with a team of international and local experts, and cooperates with local communities, governments and institutions. Projects such as rehabilitation of traditional settlements and restoration of historic monuments are designed to primarily benefit the local residents. THF runs a large vocational training program to keep traditional building skills and crafts alive. THF also researches and documents traditional architecture and building technologies. 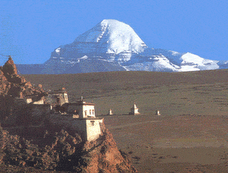 Successful projects introduced here include urban conservation work in Lhasa and Leh, and restoration of Buddhist monasteries in Central Tibet, Sichuan, Qinghai, Ladakh and Mongolia. Interactive maps linked to a database provides information about several hundred historic buildings. Reports and some publications and maps are available for download.